The Ganesh Chaturthi is a 10 day festival, celebrating the rebirth of Lord Ganesha. Ganesha is the son of Shiva and Parvati, and his rebirth is an auspicious time in the Hindu calendar. 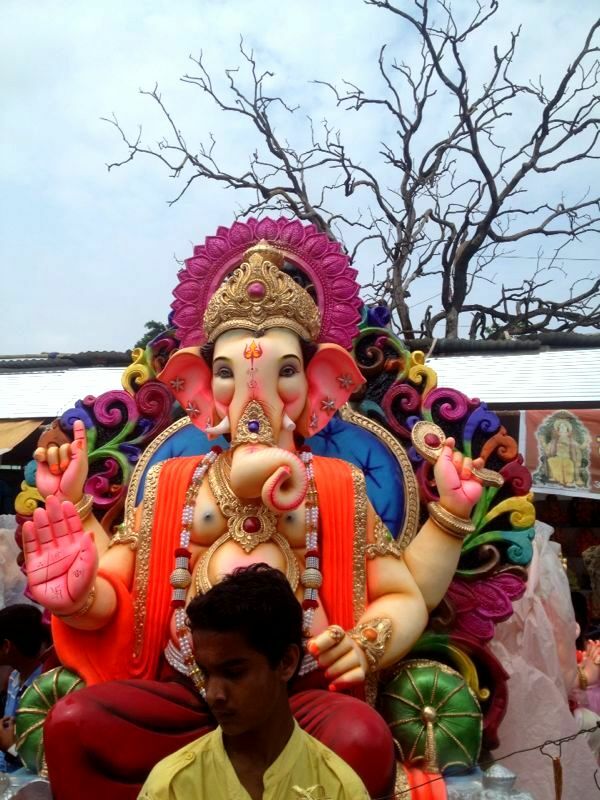 The festival involves the immersion of Lord Ganesha idols, made from clay and plaster of Paris. These idols are painstakingly prepared before the festival by artisans, with beautiful painting and an intricate finish. During the Chaturthi they are then carried to a river or sea and immersed. There are also celebratory dance performances and music. Ganesh Chaturthi is a particularly popular celebration in Maharashtra. 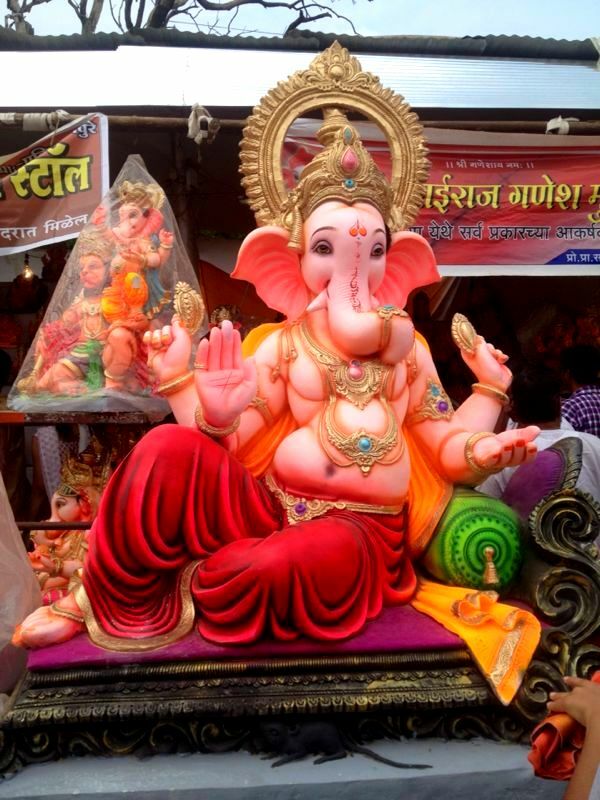 These photographs were taken of the Ganesh Chaturthi in Nasik by my friend Parag Patil. In Nasik, idols are taken to the holy river, Godavari. The river Godavari is the second longest river in India, after the Ganges, and is one of the four sites of the Kumbh Mela. 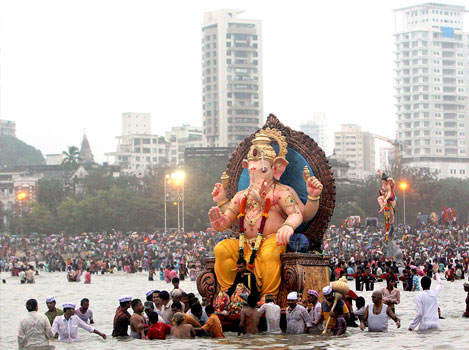 In Mumbai the idols are immersed in the sea, for example at Chowpatty Beach in the back bay, and Juhu Beach in the northern suburbs. 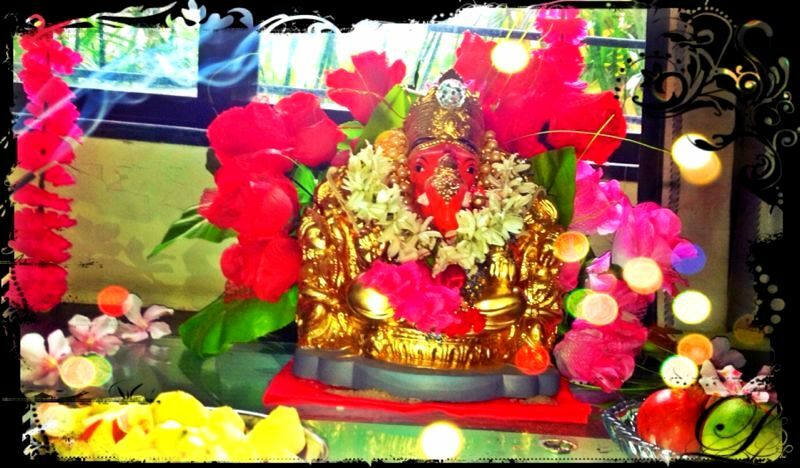 The Ganesh Chaturthi for 2013 began on Monday 9th September. The deities are worshipped in people’s houses for 1-10 days, then paraded through the streets and finally immersed in the river or sea, so that Lord Ganesha can be reborn.